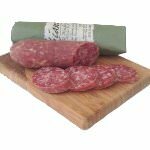 Salami Casalingo or salami di casa translates into 'the salami of the house' and is derived from the Italian tradition of each household producing its own salami. 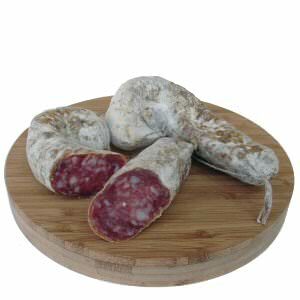 The popularization of this version of household salami emerges from the Creminelli’s province of Biella thanks in no small part to the Creminelli family, which has been producing it for several generations. 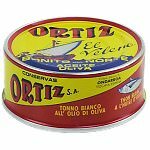 It is well known for its simple and natural ingredients. A small quantity of salt, pepper and spice is all that is needed to enhance the remarkable quality of the pork. It does not have a strong, overbearing taste and this is the secret of its success: sweetness and simplicity. 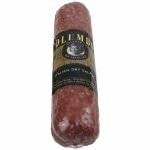 We sell these delicious salami casalingo in pairs. 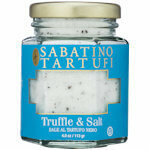 Ingredients: Pork, sea salt, natural flavors, organic spics, sugars, organic garlic, lactic acid starter cultures. (in beef casing).